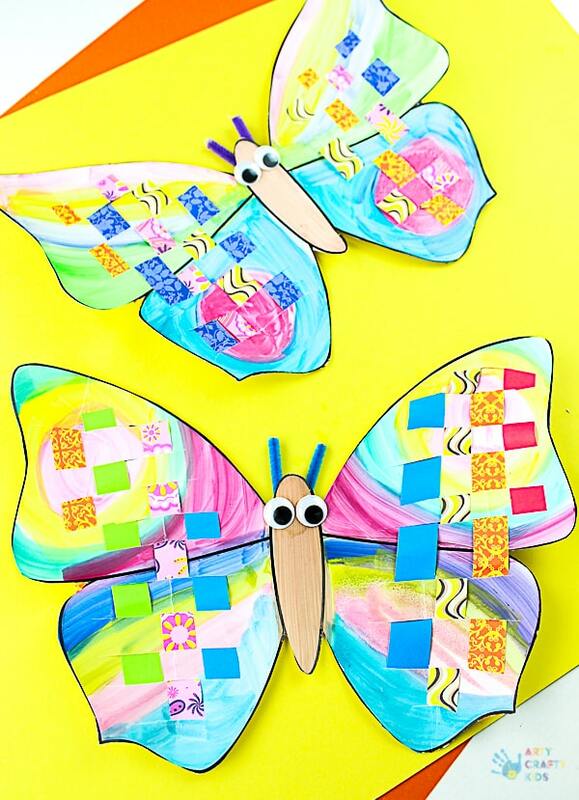 Our beautiful Woven Paper Butterfly Craft is perfect for children who are developing and improving their fine motor skills. 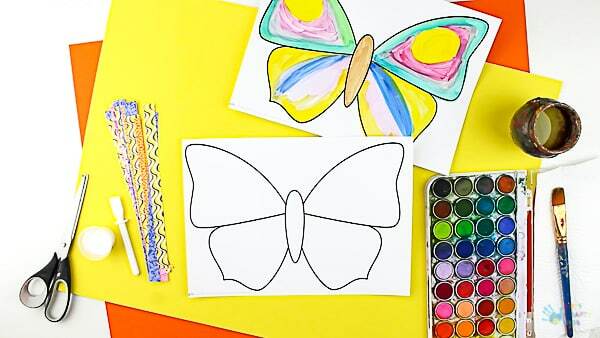 With a focus on painting, cutting and weaving, this craft offers a complete fine motor workout! The children also have options. 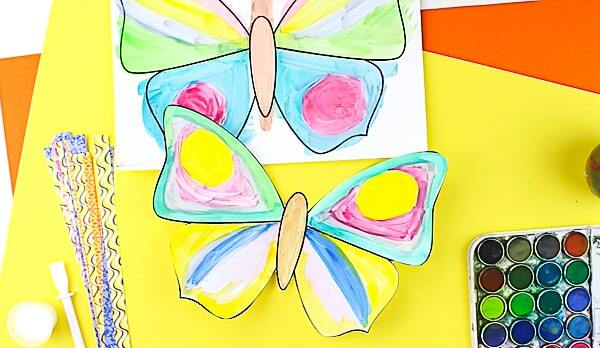 Some might be comfortable with simply painting, while others may choose to cut up some scrap paper and stick the shapes onto the butterfly. It’s also possible to use the template as basis for a collage or watercolour and salt painting exercise. 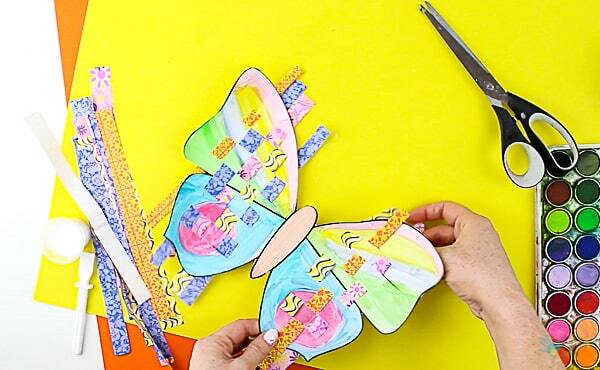 It’s amazing what you can create with one basic shape and today, we’re going to show you how to create a woven paper butterfly. 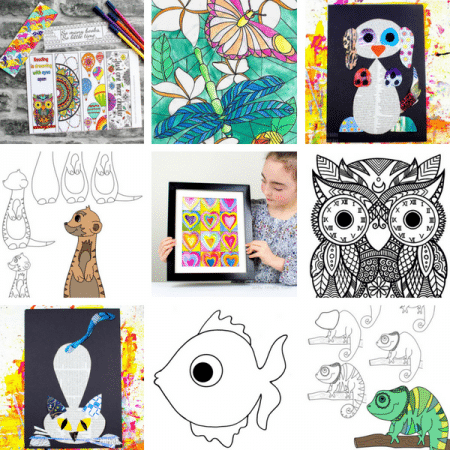 Receive the template as a gift when you sign up to our regular newsletter! 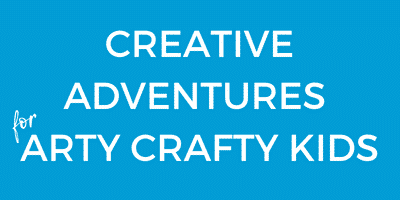 To see the craft in action, check out our nifty video below! Step 1: Download and print the template onto a sheet of white cardstock. 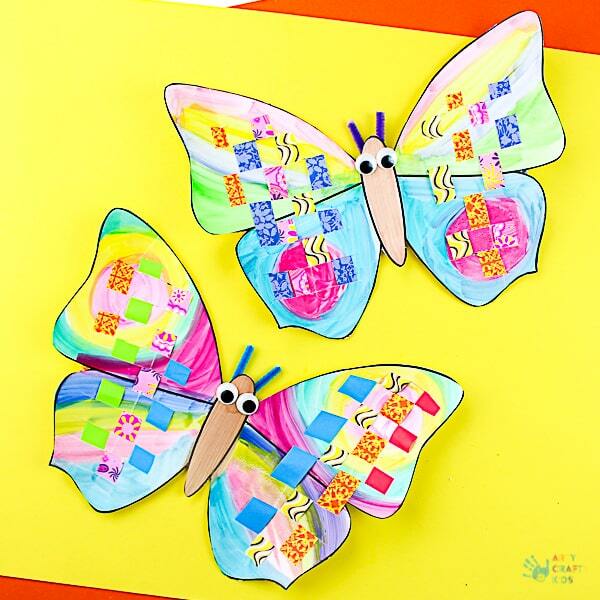 The durability of cardstock is perfect for this craft. It will withhold the paint and the bending from the weaving process. Step 2: Cut out the template. Step 3: Fold each wing in half and cut a number of slits along the edge. I would advise making the slits small at first and then opening the wing to extend the slits. 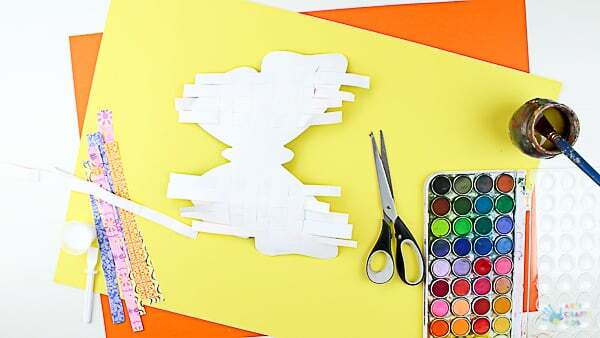 Step 4: Gather some scrap paper and cut it into strips. Starting from the bottom of the wing, weave the paper through the pre-cut slits. Alternate the starting point of each strip, to create squares between each piece of paper. 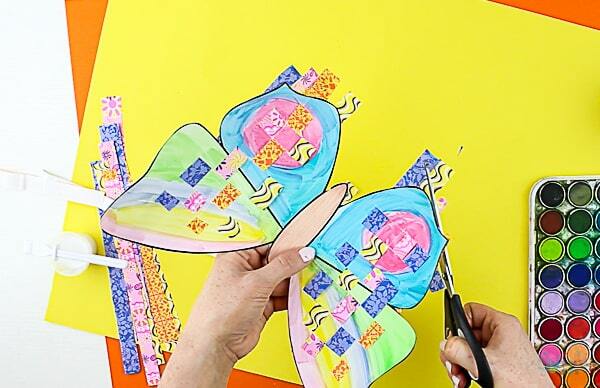 Step 5: Once complete, turn the butterfly over and secure the ends of the paper with PVA glue. Step 6: Trim the excess paper. 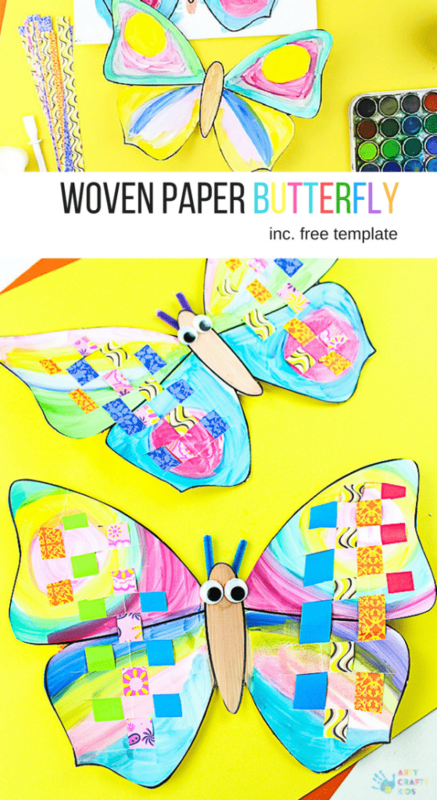 I hope you enjoy our Woven Paper Butterfly Craft and the variations provided. I would love to your version over in our exclusive facebook group! 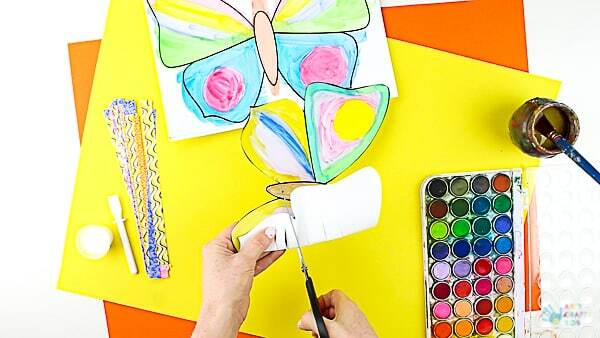 And if you’re looking for more butterfly inspiration, you may also like our easy peasy cardboard tube butterfly and classic butterfly art idea.